This morning, I was checking into the Walking the Berean Road site to check up on those who are reading these devotionals; who they are, where they’re from, and what posts God is ministering to them through. Well, as God is, He prompts me to ‘RE-READ’ this particular one I posted a year ago on God’s Plans for us. Needless to say, I was a little hesitant since I almost never ‘Re-read’ my own devotional posts. Well, guess what? This one really ministered to me! My wife, Patty and I have been praying and planning, praying and planning over things in our lives for awhile now. I have to say that we’re learning that God is not in any big hurry in meeting our own time plans! We are learning to quietly and prayerfully not only to consider God as the Captain of this ship, but to let Him run it! 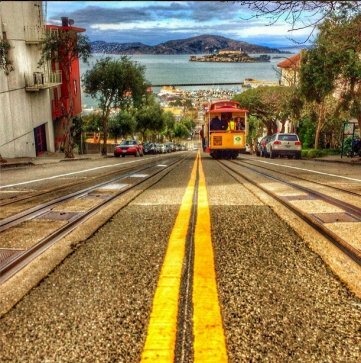 I am always amazed how those Cable car captains drive those Trolly cars in beautiful San Francisco. They have a load of passengers who climb on to get them from point A to point B. The difference between this kind of ride and taking a bus, or driving your car is that passengers choose to board based upon their desire to just watch and enjoy the beauty around them, without any worry or fret. They have planned from all points of this world to ride on this because it is a joyful experience! That is the way God wants us to plan our days, lives. Just hop aboard and let Him steer and take us to heights so beautiful and breathtaking, that we come away blessed, and happy that we came and let His plans lead the way! What a great reminder to us all, that yes, we should make plans; but it is God who will fulfill what we plan and yes, the timing according to what He sees is right for us individually, and will bring us the greater reward. How about you today? Can you say with confidence that your plans are bringing God all the glory as you wait quietly and patiently that He may be able touch others lives in a powerful way? Don’t hesitate another moment, give Him your plans and ask Him to perfect them. I hope you enjoy this ‘reblog’ as much as I enjoyed the friendly reminder from God that despite what appear to be difficult or maybe even dire circumstances, remember, even though you may feel things are moving fast enough; God is at work in His plan for you. Personally, I need to be reminded that He is in my plans as much as I allow Him. Maybe you’ve been waiting for that ‘mountain’ to be moved, and it just appears to be getting bigger. Not allowing God into our plans will eventually leave you discouraged, and discouragement will find you with your head down, not seeing that God has already moved that mountain. As I shared earlier My wife, Patty and I have been experiencing ‘growing pains’ in our spiritual walk with the Lord. It seems that everything we’re praying for in regard to one area seems to be at a standstill. No matter what we do, and plan, it doesn’t seem to be making any difference in moving this mountain the Lord has set before us. 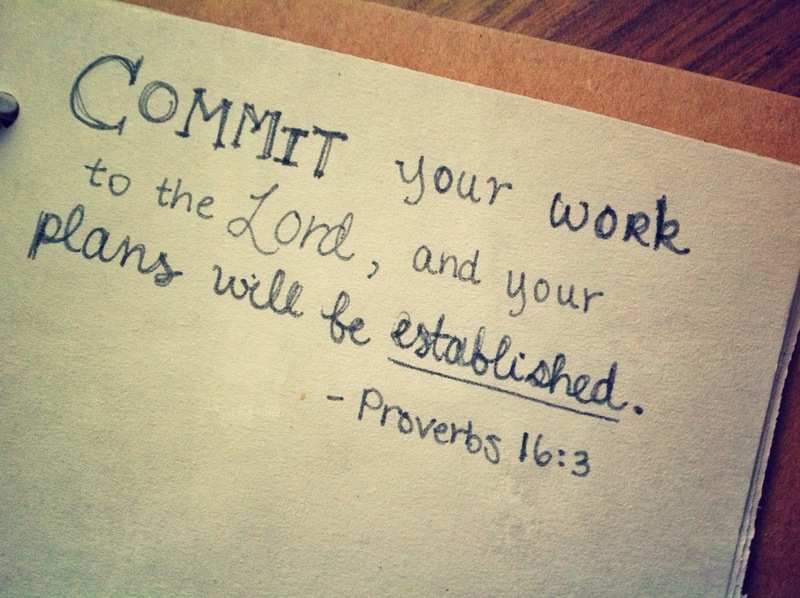 The Lord wanted me to be reminded, that His plan is in full effect; continue to trust in His plan for you….. He is simply working out details in me and my wife, and in the direction He is leading us to. As I read it, I was prompted by Him to re-post this devotion, adding to it some new thoughts, one year later. I do pray it will be inspiring for you or someone you know as well. The Lord watches over you—the Lord is your shade at your right hand; the sun will not harm you by day,nor the moon by night. Why spend money on what is not bread,and your labor on what does not satisfy? listen, that you may live. I will make an everlasting covenant with you, My faithful love promised to David.” “Seek the Lord while He may be found;call on Him while He is near. “For my thoughts are not your thoughts,neither are your ways My ways, declares the Lord. “As the heavens are higher than the earth, so are My ways higher than your ways and My thoughts than your thoughts. and achieve the purpose for which I sent it. You will go out in joy and be led forth in peace; the mountains and hills will burst into song before you, and all the trees of the field will clap their hands. And so, what about you? What are your plans for today? Thinking about your plans is good, praying for those plans is better; but knowing those plans are going to be blessed by God, is most excellent! Make your plans matter, bring them to God for a ‘spiritual tune-up’….you’ll find yourself running again; just like new! Why not take a moment and let God into your plan, and begin to experience the” peace of God that surpasses all understanding”. Who knows, it may just be the one thing that will lift your drooping head, and you will see the plan God has prepared for you, one ‘exceedingly more, than you could ever ask or think’. …..and don’t forget to take the time to read the original post that personally inspired me by the Spirit of God to re-post this message….be blessed!